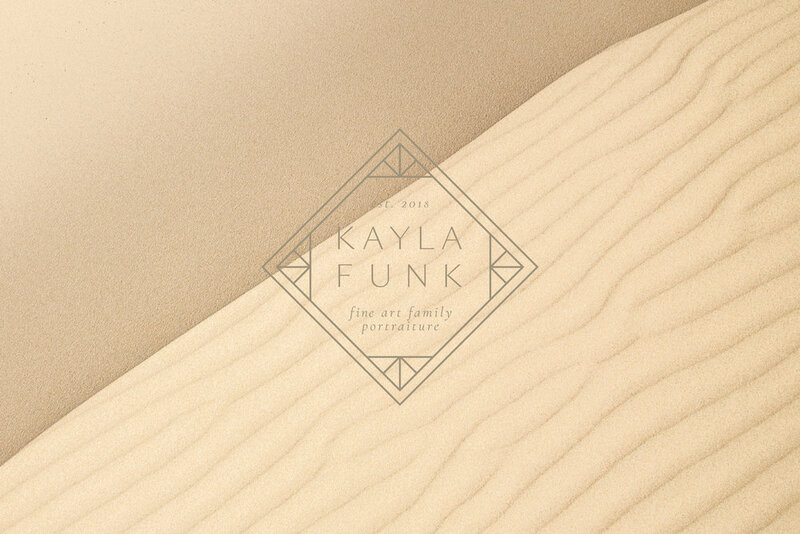 Kayla Funk is a luxury fine art family photographer in Arizona. When we set out to establish visual branding, we wanted it to feel incredibly high-end but still both approachable and personal. Geometric shapes and the sun rising over the Arizona desert played a huge role in the design and we selected two serif fonts to establish an air of elegance, but used a barely serif font for the primary word mark to maintain a chic and trendy appeal to her millennial audience. Kayla’s photography style and business model are beautiful and unique, and with that, so is her target audience. Her dream client is a young stay at home mom that desires to capture her family in an elegant and chic manner. 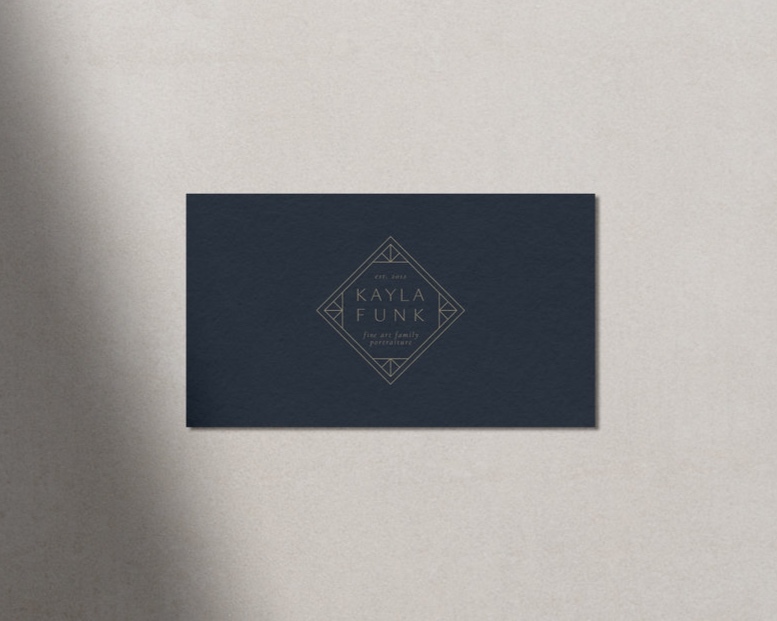 Kayla’s primary logo resembles a diamond shaped crest with a sunrise in each corner, an ode to her home in Tuscon as well as the light she desires for as a photographer.. Both fonts are completely customized, with her target audience in mind. My experience with Telltale Design Co was unbeatable! I had so many ideas for my photography brand but didn’t have much of an overall vision. Lydia took all my ideas and worked with them to create a cohesive experience for my clients that I love. Thank you, Lydia! Love this brand and want to create one like it? Let’s work together!